Color: Multi colored with a milky appearance . Material: Vintage glass, raw brass. Country of Origin: The stones were made in Japan. Settings are Made in the U.S.A.
Additional Information: This is a raw brass item. Color can vary from lot to lot. Also, all raw brass will acquire patina over time. 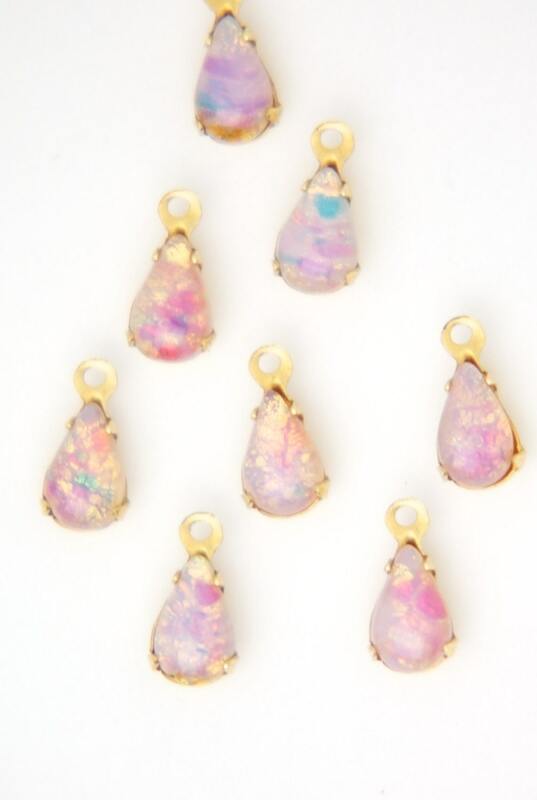 Please note that no 2 opals are alike, the amount of colors and milkiness will vary from stone to stone. Gorgeous shimmering retro jewels, in mint condition. Great quality! Really pretty in person!